We are now in the last two months of our 2018 Nautilus Season! Entries will be accepted with Postmark-date of Books package between September 21, 2018 and February 8, 2019. Published version, no "Advance Reader Copy"
When your Entry package is postmarked between September 21– through October 31, the Early Bird Entry Fees apply. Postmarks from November 1- through December 31 are eligible for the Regular Entry Fees. Packages postmarked from January 2- through Feb 8, 2019 will require the Final Entry Fees (see below). The Nautilus Mission continues – Better Books for a Better World! To recognize, promote, and celebrate books that support conscious living & sustainability, high-level health & wellness, spiritual growth, and positive social change & social justice. These four aspects of the Nautilus Mission are an integral part of the assessment that the Reviewers use in recommending the Finalists, and that the Judges Team later uses to select a few extraordinary books as Award Winners in each category. A book does not need to express all four qualities of the Mission in order to be selected as an Award Winner. However, books that are infused with two or more of the qualities will generally earn a higher rating. Our Reviewers are serious and dedicated about recognizing excellent books that bring wisdom, love, hope, collaborative spirit, and creativity to their readers! The Bookcovers of the Winners, as well as a PDF list of all the Winners, are shown on our 2017 Gold Winners page, and the 2017 Silver Winners page! Opening and Closing Dates -- for 2018 season! or by private delivery service (eg, FedEx, UPS). + $145 USD for an additional Category for the same Title. Note: Books for Children /Mid-Grades /Young Adults have $145 Final Entry Fee. See below for three payment-method options. The 2018 Nautilus Book Awards season that launched in September is now in its final Two Months! We are accepting entries in 35 subject categories (a few with A and B segments, see Categories webpage), and 8 of those categories are for Children, Mid-Grade Teens and Young Adults. We accept Entries from Self-publishers, Small Presses (2- 10 Titles annual, from multiple authors), Hybrid-publishers, and traditional Larger publishers -- the full spectrum of the Print Publishing world (English language). In addition, a Grand Prize Winner will be selected from among the Gold Award Winners in all categories. The author of the Grand Prize-Winning book receives a $2,500 cash prize, with our honor and gratitude. Our judges consider a Small Press title to be any book that qualifies for entry in the Nautilus Awards and is from a publisher who produces 2 to 10 books annually, and those books are from multiple authors. All qualified, paid submissions from a Small Press, Self-Publisher, or Children's book become candidates for the "Best of..." awards. It cannot be entered otherwise. An Entry Form must be submitted for each copy of each Title, and inserted (not taped) inside the front cover. make multiple photo-copies of the completed Entry Form: 4 copies for 1st category; plus 3 copies for a 2nd category, if needed. insert an Entry Form copy inside each physical book. You are welcome to fold the Entry Form to fit inside a smaller book. 2018 Entry Form (Jan. & Feb. 2019 ~Final Fee) is HERE. The Entry Form is available now, for you to begin filling out. c) and Payment (see below for three Payment-method options). CHECK: Enclose your Check with the books-package and Entry forms. 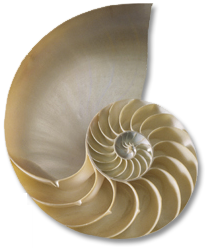 A single check (USD payable to "Nautilus Book Awards") may be written to cover all categories entered. PAYPAL: online via PayPal system (with credit card: PayPal accepts VISA, MC, Discover, Amer Express). > PayPal links are on THIS PAGE (see below). PAYMENTECH direct: contact Mary Belknap to arrange this option at mbelknap@nautilusbookawards.com You will provide credit card information by phone (note: Chase Bank system accepts VISA, MC, or Discover; but does NOT accept AmerExpress). Note: If you select option 2 or 3 - you will need to ship your Books and Entry Forms separately from the payment. PayPal links (below) are now Active. Be sure to type the Author Name, Book Title inside the small box, BEFORE you click the "Add to Cart" button! You need to pay the First Category PayPal Fee for an entry (left box) before a book is eligible for the lower fee of Additional Category (right box). For the same title in a second or third category - and for all Childrens/MidGrades/Young Adult categories - use the Additional Category button (right box). Reminder: The Final Entry Fee rates ($185, and $145 Child/Mid/YA Book or 2nd category) are now applicable, from January 1 through February 8, 2019. We need four (4) copies of each Book Title for the initial category that you enter. If you enter the SAME title in additional categories, please send three (3) additional books for each additional category entered. Example: If you enter a title in Parenting – plus, you want to enter the same title in Psychology – you will need to send 4 + 3 books, for a total of seven (7) books for the two categories. The reason we need this number of copies is that our Reviewers live in different cities and, in some instances, in different States of U.S.A. Our Office mails one copy to each Reviewer in the selected Category. Plus, one copy is maintained at the Nautilus Office, as reference copy for any questions that arise. Please ship Books with Entry Forms enclosed, using a nation-wide shipping service such as U.S. Postal, U.S. Priority Mail, FedEx, UPS, so you can insure and/or track your package. Note: We welcome International mail for Book entries from other nations. Use your national Mail Service, and send the Book package to the PO Box address (see below). Important: Do NOT send International packages to the street address. There is No Mailbox there! FOR USA SENDERS – The best shipping option (especially for large or heavy books) is to use the U.S. Postal Service FLAT RATE BOX / PRIORITY MAIL. TRACKING: Please arrange to be able to track your package so you will know when it arrives. Both U.S. Media Mail (Book rate), and Priority Mail provide tracking information. You also have the option to purchase a ''Confirmation of Delivery" receipt; or enclose a SASP (postcard) in the package for confirmation of arrival. Because the Nautilus Office receives hundreds of packages during the active season, our staff do not have time to send written confirmation of delivery. Your tracking information purchased with the postage is the best method to use. We generally do not recommend 4TH CLASS BOOK RATE mail, as it can take a week or more to arrive and cannot be insured. Exception: for packages within Washington State, the Book Rate works fine.